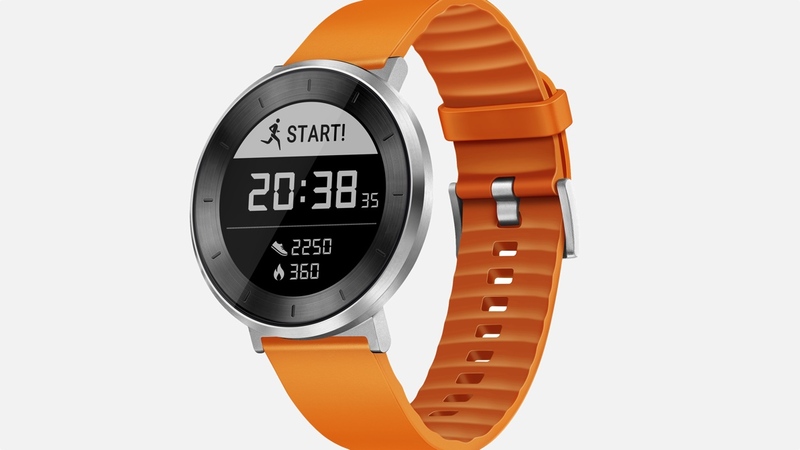 Just a few weeks after Huawei's spin-off company Honor announced its S1 fitness-focused wearable, Huawei has essentially taken the same device and slapped a different name on it. The Android and iOS-friendly Huawei Fit, officially announced an event today, features the same round watch face as the S1 with a bezel that will instantly remind you of the Pebble Time Round. It's an aluminium watch body, waterproof to a IP68/5 ATM rating and the Fit weighs only 35g. There's a 200ppi Memory LCD always-on monochrome screen also in tow along with three 18mm or 20mm strap options (blue, black and orange) that can easily swapped out to mix things up. In terms of tracking features, you can expect to count your steps, monitor sleep, measure distance and keep a check on calories burned. There's no GPS on board, but there will be an optical heart rate sensor on board that delivers 24/7 continuous heart rate monitoring that can also be used during workouts. Plus an accelerometer and gyrometer, obviously. In terms of smartwatch-esque features, it will have push notification support to send alerts when there's an incoming call or message to your smartphone. We don't know what the OS is apart from that the device is compatible with both Android 4.4+ and iOS 8 and above. Battery life is expected be around six days in normal use with a 80mAh unit and 30 days in standby. So, yes, aside from some details, this is the same device as the Honor S1 which is launching in China at least for now. The Huawei Fit is clearly the international version. US pricing is expected to be $129.99 although there's no details on how much it'll cost in Europe just yet when it launches at the end of November. Stay tuned for more details.